La Victortoria Ardunio Caffe Expresso - Leonetto Cappiello Vintage Ad by Jennifer Rondinelli Reilly - Fine Art Photography - 8" x 10"
La Victortoria Ardunio Caffe Expresso - Leonetto Cappiello Vintage Ad poster by Jennifer Rondinelli Reilly - Fine Art Photography. Our posters are produced on acid-free papers using archival inks to guarantee that they last a lifetime without fading or loss of color. All posters include a 1" white border around the image to allow for future framing and matting, if desired. 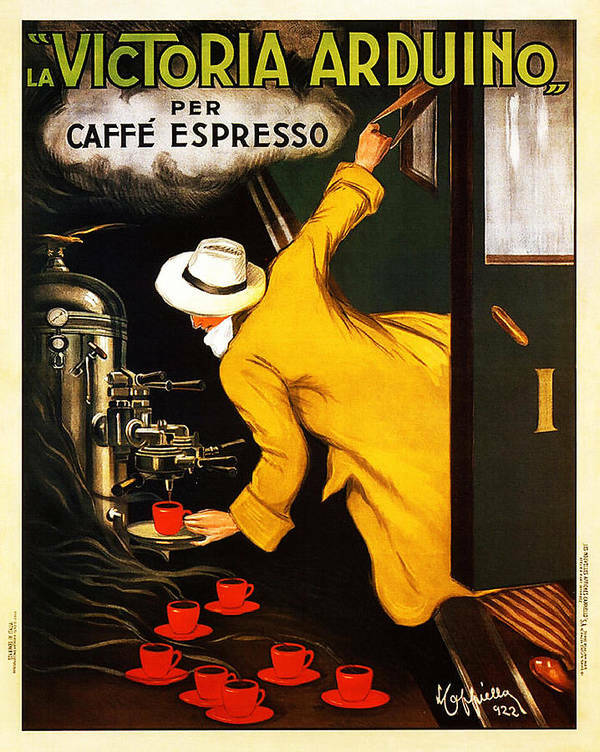 Vintage La Victoria Arduino Expresso Advertisement by Leonetto Cappiello. 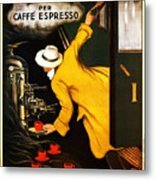 Leonetto Cappiello was an Italian and French poster art designer. He is often referred to as the "father of modern advertising" because of his innovative poster design. I give these vintage advertisements a fine art treatment to bring you maximum image quality. Buy vintage Italian advertisement posters for your home or office online today!